Anti-pill and abrasion resist. 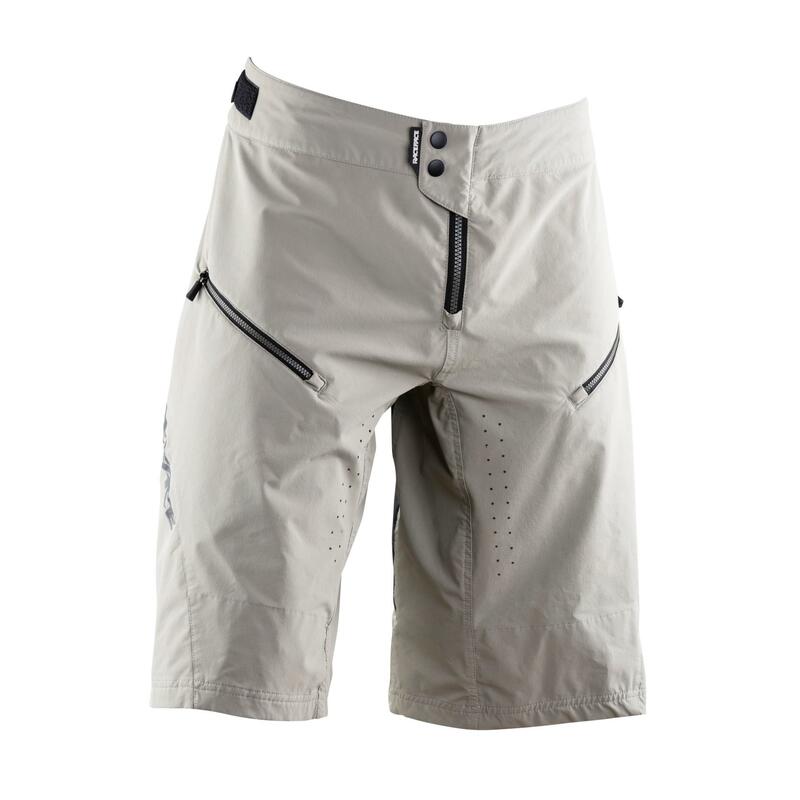 Four way stretch fabric allows maximum maneuverability while the laser perforation helps keep temperatures in check. 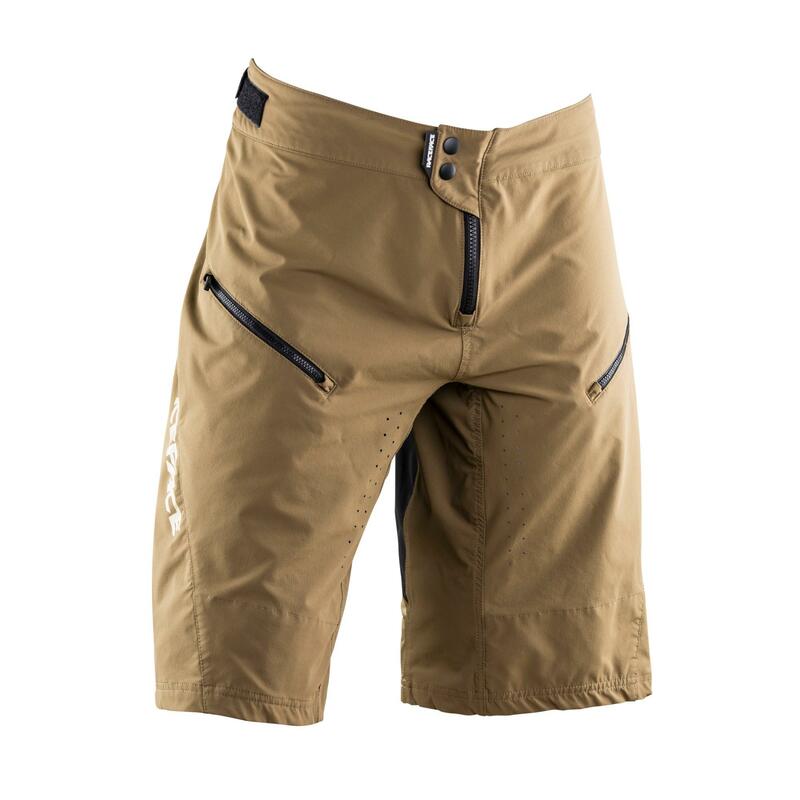 A baggy trail style short recommended for Trail riding / Enduro racing. 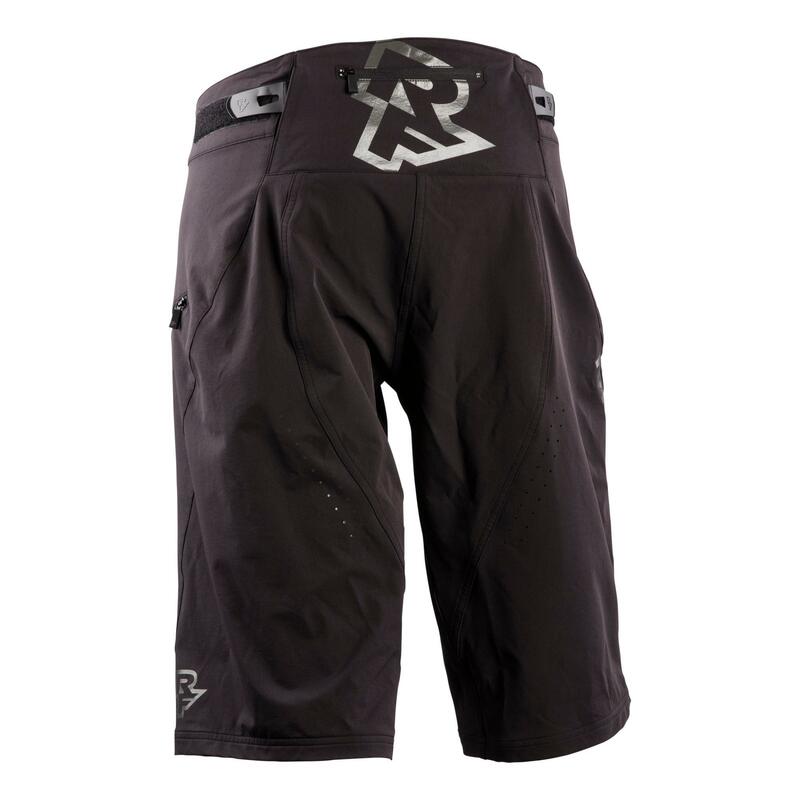 Raised back panel (with small storage pocket) stretches up a little higher to guard against tyre spray. 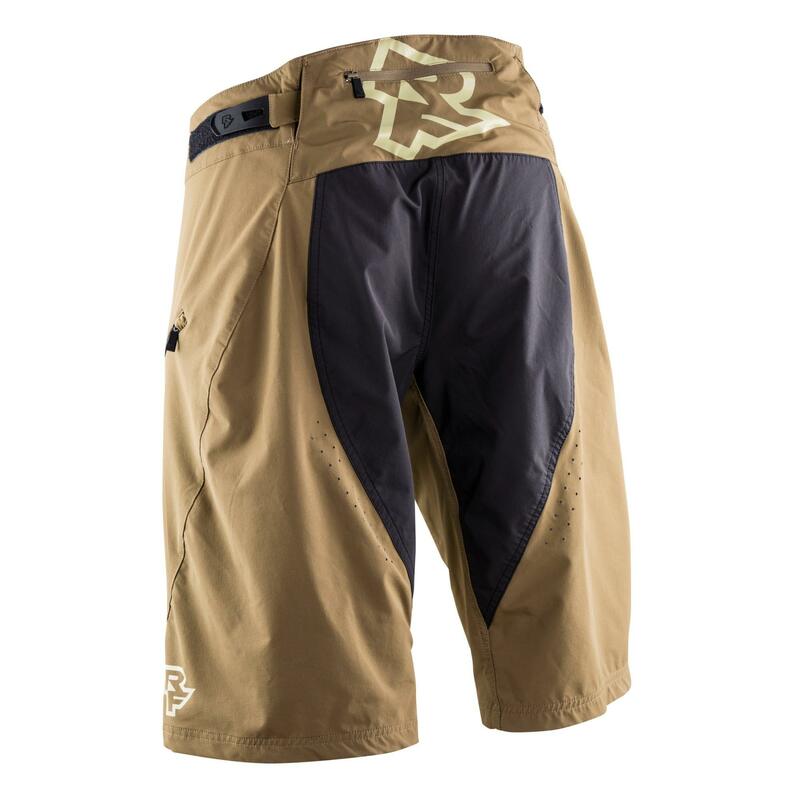 Inseam is 35cm (13.75in), under knee, hem opening is large enough to accommodate Race Face pads and also features a slip panel to help the short glide over pads. 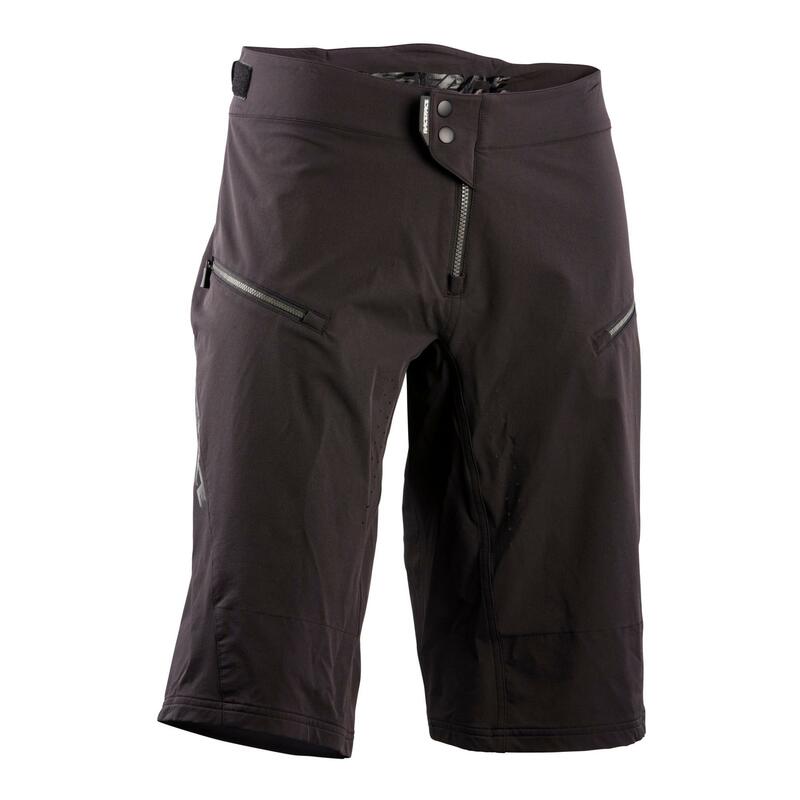 Inner lower leg opening features ‘slip panel' designed to glide over protection.